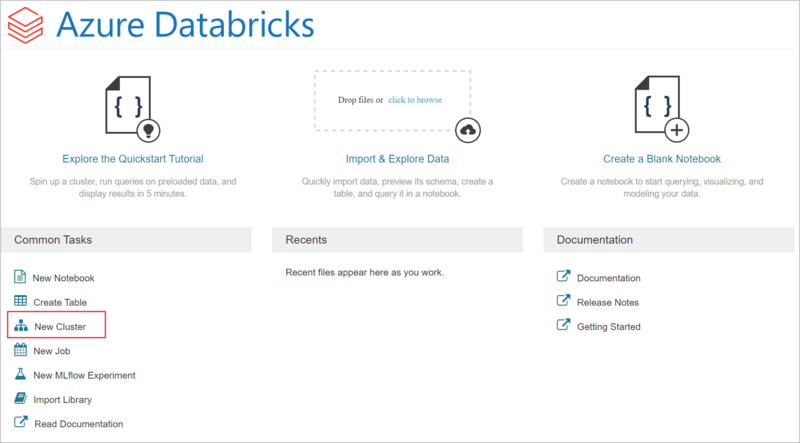 In this tutorial, you connect a data ingestion system with Azure Databricks to stream data into an Apache Spark cluster in near real-time. 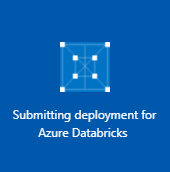 You set up data ingestion system using Azure Event Hubs and then connect it to Azure Databricks to process the messages coming through. To access a stream of data, you use Twitter APIs to ingest tweets into Event Hubs. 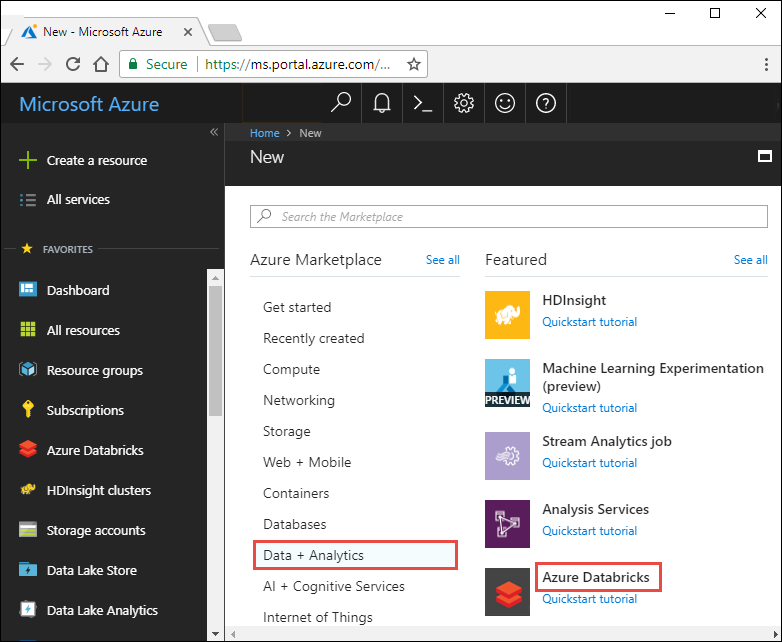 Once you have the data in Azure Databricks, you can run analytical jobs to further analyze the data. By the end of this tutorial, you would have streamed tweets from Twitter (that have the term "Azure" in them) and read the tweets in Azure Databricks. 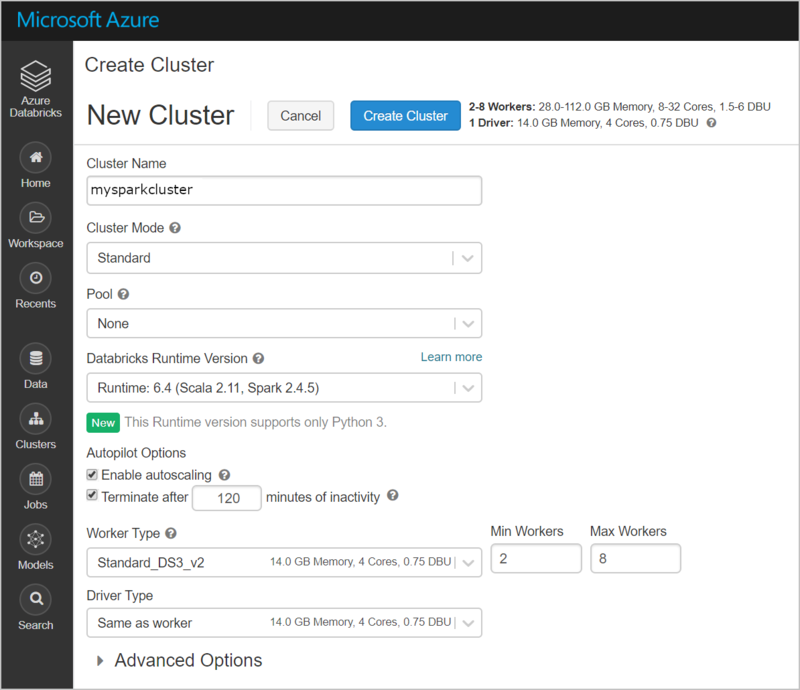 For this article, create a cluster with 4.0 runtime. To receive a stream of tweets, you create an application in Twitter. Follow the instructions create a Twitter application and record the values that you need to complete this tutorial. In the application page, select the Keys and Access Tokens tab and copy the values for Consume Key and Consumer Secret. 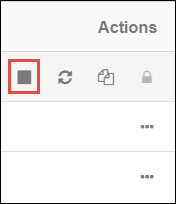 Also, select Create my access token to generate the access tokens. Copy the values for Access Token and Access Token Secret. ReadTweetsFromEventHub - A consumer notebook you use to read the tweets from Event Hubs. In the left pane, select Workspace. 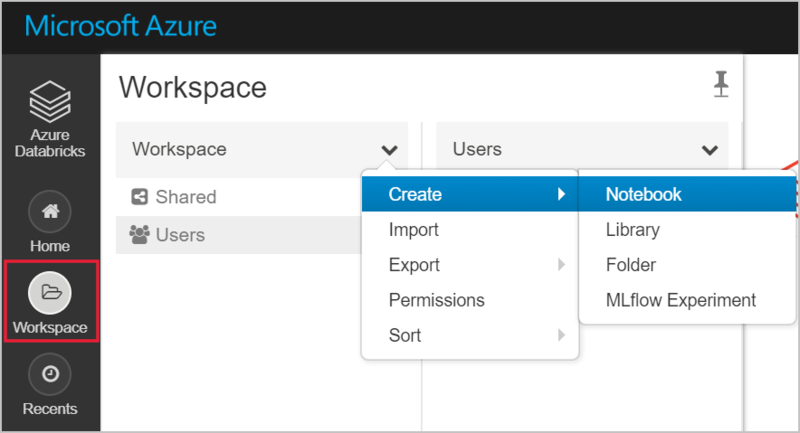 From the Workspace drop-down, select Create > Notebook. Repeat the steps to create the ReadTweetsFromEventHub notebook. In the SendTweetsToEventHub notebook, paste the following code, and replace the placeholders with values for your Event Hubs namespace and Twitter application that you created earlier. 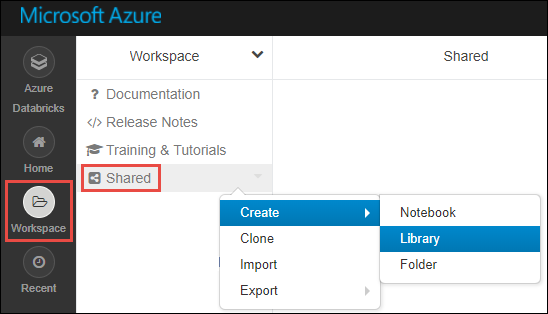 This notebook streams tweets with the keyword "Azure" into Event Hubs in real time. To run the notebook, press SHIFT + ENTER. You see an output like the snippet below. Each event in the output is a tweet that is ingested into the Event Hubs containing the term "Azure". In the ReadTweetsFromEventHub notebook, paste the following code, and replace the placeholder with values for your Azure Event Hubs that you created earlier. This notebook reads the tweets that you earlier streamed into Event Hubs using the SendTweetsToEventHub notebook. That's it! 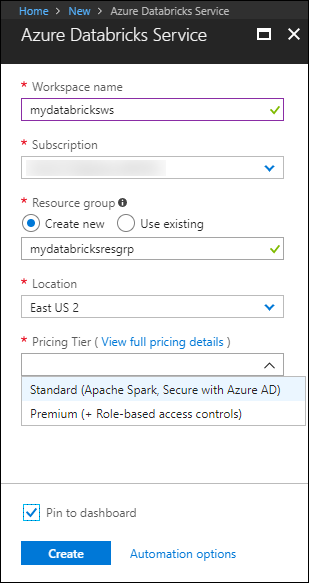 Using Azure Databricks, you have successfully streamed data into Azure Event Hubs in near real-time. 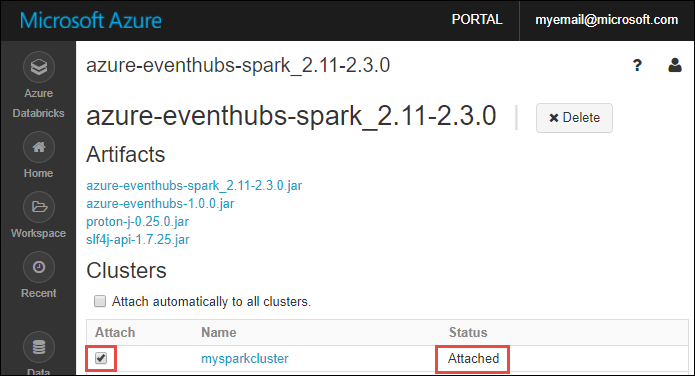 You then consumed the stream data using the Event Hubs connector for Apache Spark. 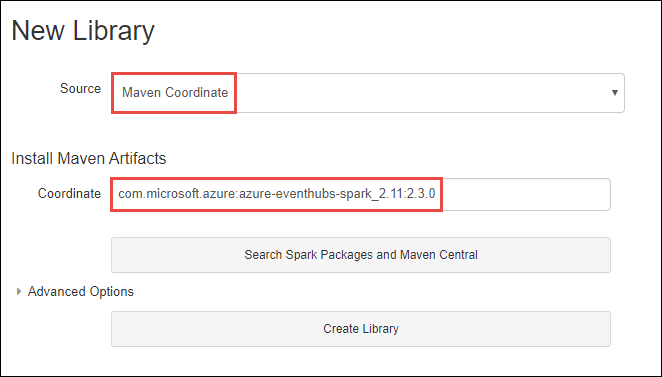 For more information on how to use the Event Hubs connector for Spark, see the connector documentation. Advance to the next tutorial to learn about performing sentiment analysis on the streamed data using Azure Databricks and Microsoft Cognitive Services API.